Like window to another world, Living Fireplace transforms your TV into vibrant Yule Log fireplaces that crackle and pop! Set the mood and watch as it instantly enhances the ambience of any room decor. 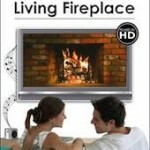 Ideal for everyday enjoyment or entertainment, Living Fireplace adds a beautiful new dimension to your TV.